With talks ongoing regarding the big heavyweight unification fight we all want to see, between Anthony Joshua and Deontay Wilder, Barry Hearn, the founder of Matchroom, now ran by his son, has chucked in yet another curveball by stating how he will “deposit Deontay Wilder’s entire fight purse in any bank of his choosing in five minutes if he fights Joshua in the UK”. Apparently one of the biggest obstacles to be overcome if this fight is to be made is settling on the location of the fight. Wilder wants it in the US, Joshua wants it in the UK. It’s that simple. 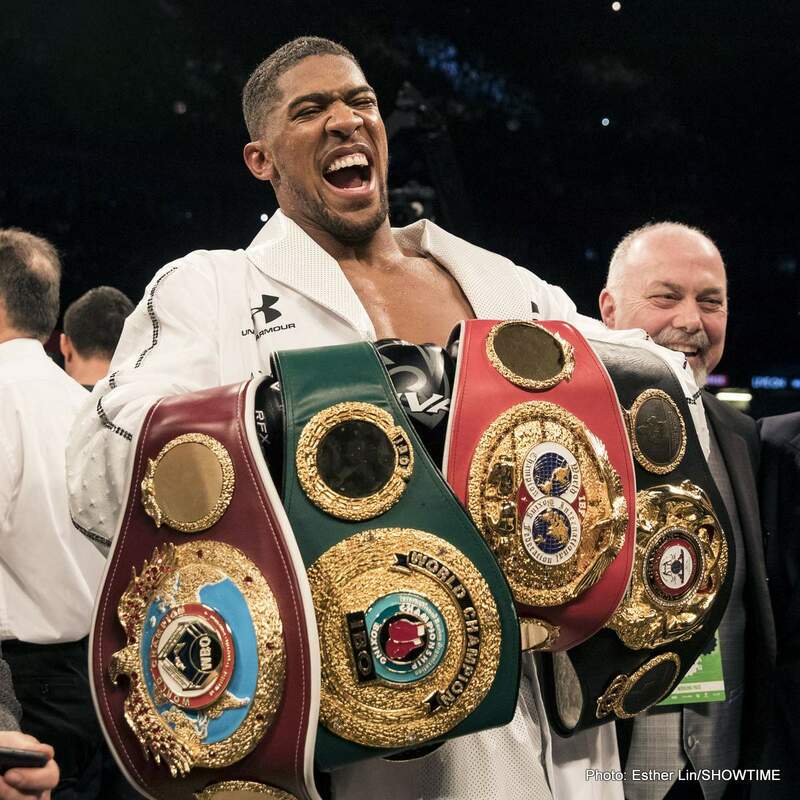 Joshua, having built up an enormous and loyal following in the UK, where he has made a habit of pulling in something like 70 to 90,000 fans who pack out cavernous stadiums, may have a point when he says he has the right to pick where this fight should take place – and of course, in negotiating terms, AJ holds three world titles to Wilder’s one; this giving him the edge in his opinion. But Wilder, who insists he is the best heavyweight on the planet, wants the fight in America, stating how Joshua should fight in the US for the first time for this one. The Hearns are still trying to thrash out a deal with Shelly Finkel, Lou DiBella, Jay Deas and Wilder’s team, but Hearn Senior’s latest offer could result in a breakthrough. It would of course be a massive event in British boxing if this fight took place in the UK, and maybe Wilder, having had such an apparent ironclad offer put to him, will take Hearn seriously and agree to fight AJ in London. There would almost certainly be a rematch clause in place, so if Wilder is sure he beats Joshua then he can look forward to the return going down in his homeland. As Hearn says, the clock is ticking. Fans will only wait to long for this fight, as big and as potentially explosive as it is.